One in ten people’s noses contain bacteria that could be the source of a powerful new antibiotic, German scientists say. Even resistant superbugs, such as MRSA and vancomycin-resistant enterococci, died when exposed to this new compound, lugdunin. Antimicrobial resistance is a major global threat, with Europe facing “Antimicrobial Armageddon” by 2025. Leading scientists predict a million deaths from untreatable infections if more new antibiotics aren’t found. 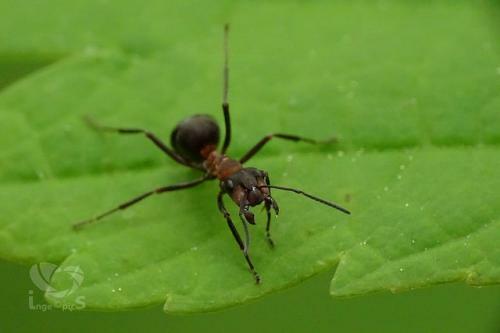 The microbes living in and on tropical ants are studied for antibacterial and antifungal drugs by scientists across the world. Matt Hutchings from the University of East Anglia leads a major British study, prospecting bioactive compounds from fungus-farming attine and arboreal ants. This indicates that existing antibiotics may be more effective against drug-resistant infections if used in combination with Mānuka honey. Other creepy crawlies are also a proven success. Maggot secretions, cockroach brains, and the humid brood cells of beewolf wasps all contain antimicrobials. Patients suffering from chronic open wounds, or resistant superbug infections, are often reluctant to undergo maggot therapy, but Yamni Nigam from Swansea University has launched the innovative #loveamaggot campaign. Nigam claims that “maggot therapy is a quick and highly effective way to treat infected and festering wounds. Limbs, and even lives, of chronically ill patients have been saved”.